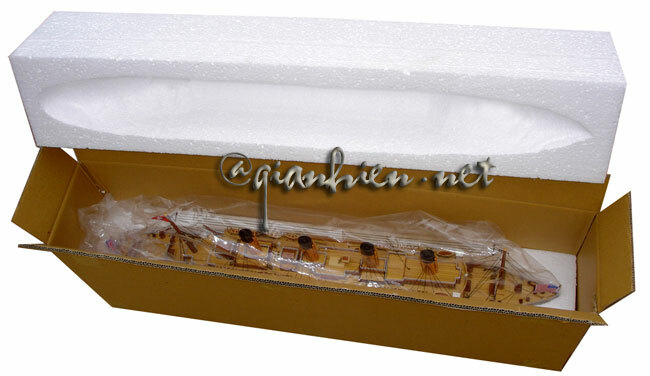 Below picture shown how the model is packed. 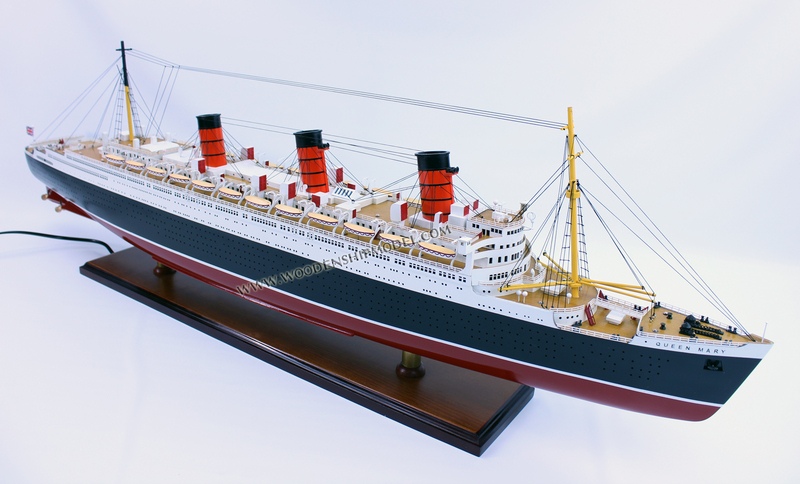 RMS Queen Mary is a retired ocean liner that sailed primarily on the North Atlantic Ocean from 1936 to 1967 for the Cunard Line (known as Cunard-White Star Line when the vessel entered service). Built by John Brown & Company in Clydebank, Scotland, Queen Mary along with her running mate, the RMS Queen Elizabeth, were built as part of Cunard's planned two-ship weekly express service between Southampton, Cherbourg, and New York City. The two ships were a British response to the superliners built by German and French companies in the late 1920s and early 1930s. Queen Mary was the flagship of the Cunard Line from May 1936 until October 1946 when she was replaced in that role by Queen Elizabeth. Queen Mary sailed on her maiden voyage on 27 May 1936 and captured the Blue Riband in August of that year; she lost the title to SS Normandie in 1937 and recaptured it in 1938, holding it until 1952 when she was beaten by the new SS United States. With the outbreak of World War II, she was converted into a troopship and ferried Allied soldiers for the duration of the war. 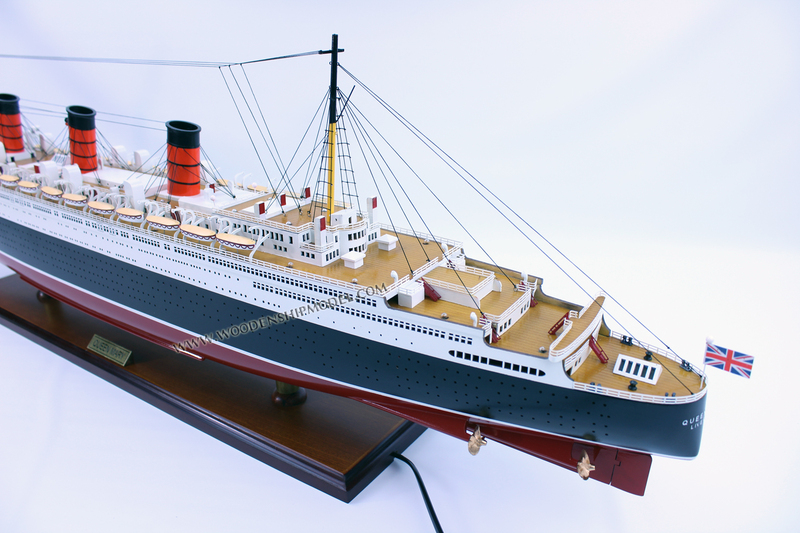 Following the war, Queen Mary was refitted for passenger service and along with Queen Elizabeth, commenced the two-ship transatlantic passenger service for which the two ships were initially built. The two ships dominated the transatlantic passenger transportation market until the dawn of the jet age in the late 1950s. By the mid-1960s, Queen Mary was ageing and, though still among the most popular transatlantic liners, was operating at a loss. 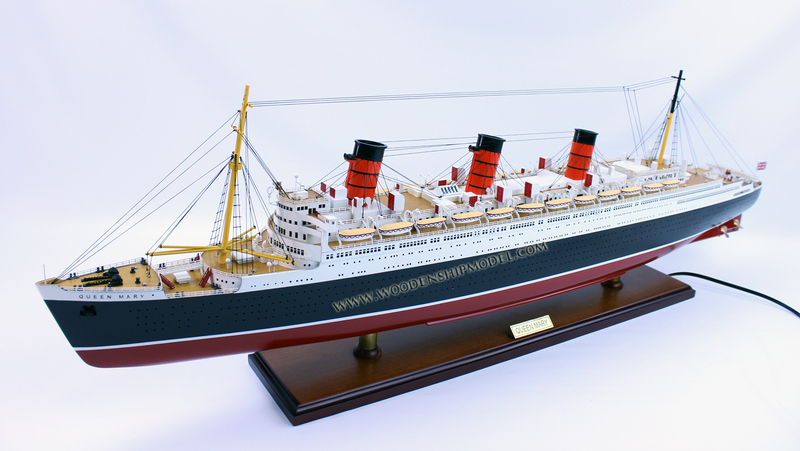 Queen Mary is permanently moored as a tourist attraction, hotel, museum, and event facility in Long Beach. From 1983 to 1993, Howard Hughes' plane Spruce Goose, was located in a large dome nearby. (This structure is now used by Carnival Cruise Lines as a ship terminal, and as a venue for the local roller derby team, the Long Beach Derby Gals.) an event venue, It was formerly a soundstage). 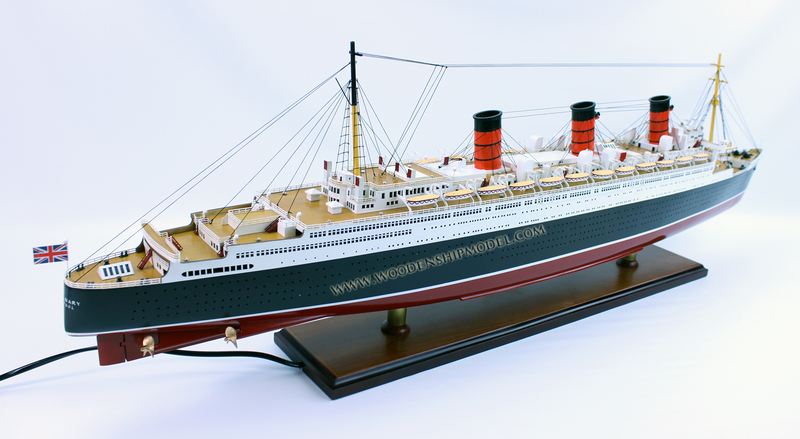 Even larger than the Titanic and just as elegant, the R.M.S. 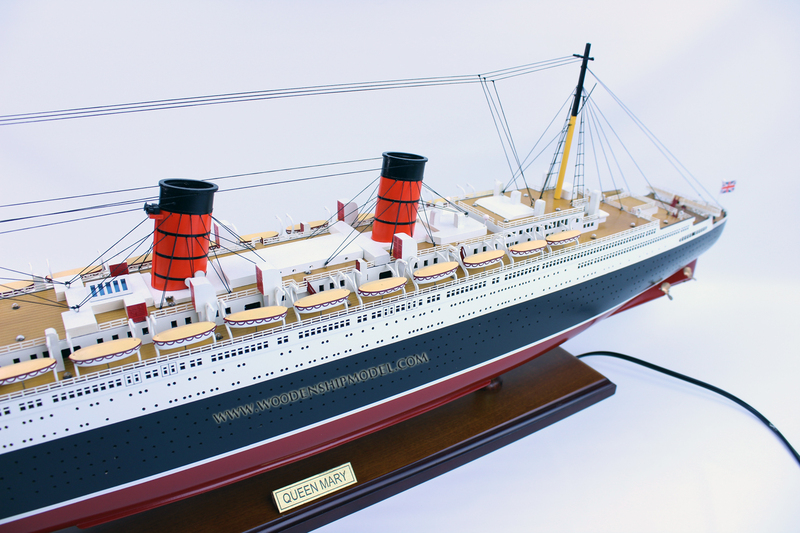 Queen Mary was once considered the finest ocean liner traversing the Atlantic Ocean. The Queen Mary made exactly 1001 transatlantic crossings in the mid-20th century before it was converted into a hotel in Long Beach, California. The Queen Mary was built during an age when countries such as Britain, France, and Germany were all racing to be the top provider of luxury transatlantic travel. Two rival British companies, the Cunard and White Star lines, sought to outdo each other�s ships in terms of size, speed, and amenities. A British shipbuilder called John Brown & Company, commissioned by Cunard, began construction of the Queen Mary�initially known only as Hull Number 534�in December 1930 at a Clydebank, Scotland, shipyard. The company was already well known for having built the R.M.S. Lusitania, which was torpedoed and sunk by a German U-boat in 1915. With the onset of the worldwide Great Depression, construction on the Queen Mary came to an abrupt halt. Eager to spur on the sluggish economy, the British government agreed to give a loan that would allow construction on ship #534 to continue, but only if Cunard and White Star would merge. (Like Cunard, White Star�famous as the owner of the ill-fated R.M.S. Titanic�had fallen on hard times.) In 1934, the new Cunard-White Star Line was born, and construction on the ship immediately resumed. 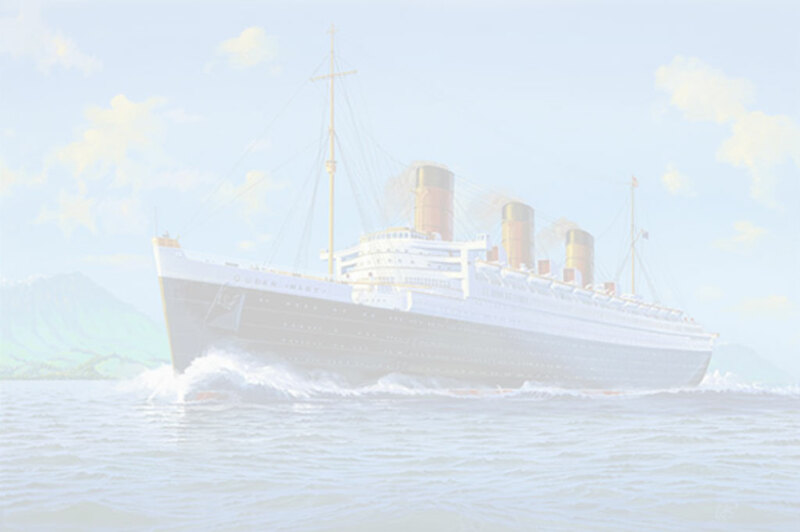 As part of the merger, the government stipulated that a sister ship to the Queen Mary also be built�which was to become the Queen Elizabeth�so the two ships could together dominate transatlantic travel. The Queen Mary�s $30 million price tag would be the equivalent of more than $560 million today. Inside, the ship boasted five dining areas, two swimming pools, beauty salons, and a grand ballroom, which attracted wealthy passengers and celebrities to the ship�s first-class accommodations. A first-class breakfast menu included eggs and pastries as well as onion soup gratin�e and broiled kippered herrings. An Art Deco mural in the main dining room used a crystal model of the ship to track its progress between England and New York. 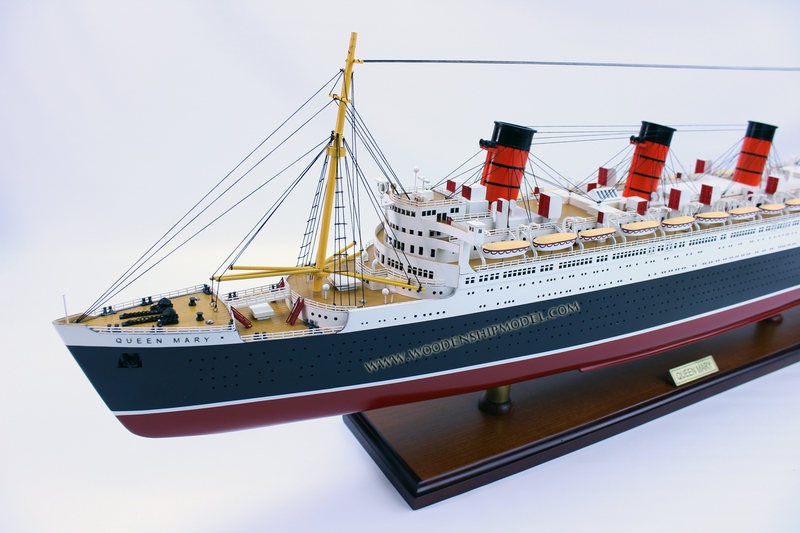 Royalty, Hollywood stars, notable business magnates, and well-known politicians all traveled on the Queen Mary, including the likes of Clark Gable, Bob Hope, Queen Elizabeth II, Winston Churchill�and even comedy duo Laurel & Hardy and Desi Arnaz of I Love Lucy fame. In addition to first-class, the ship also had �tourist class� (a.k.a. second-class) and third-class accommodations, with the most cramped quarters reserved for the crew, who sometimes bunked 10 to a room. In September 1939, the Queen Mary had just crossed to New York when the British government ordered that it remain in port there until further notice. Eventually, Allied forces determined that the Queen Mary, along with the Normandie and Queen Elizabeth, also docked in New York, would become troopships to carry soldiers to various battlefronts. The ship�s hull and funnels were painted battleship gray, earning the ship the nickname the �Grey Ghost.� It was also outfitted with a degaussing coil, which altered the ship�s magnetic field and helped to protect against the enemy�s use of magnetic mines. These highly valuable troopships were capable of moving as many as 15,000 soldiers at a time. 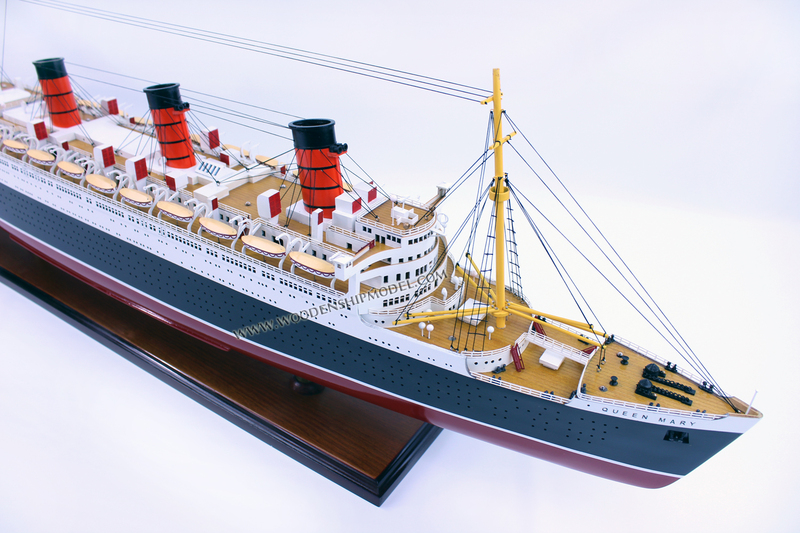 Once the war ended, the Queen Mary required 10 months of work to be retrofitted so that she could go back into commercial passenger service. The Cunard-White Star Line added more berths in all three classes, as well as air conditioning. 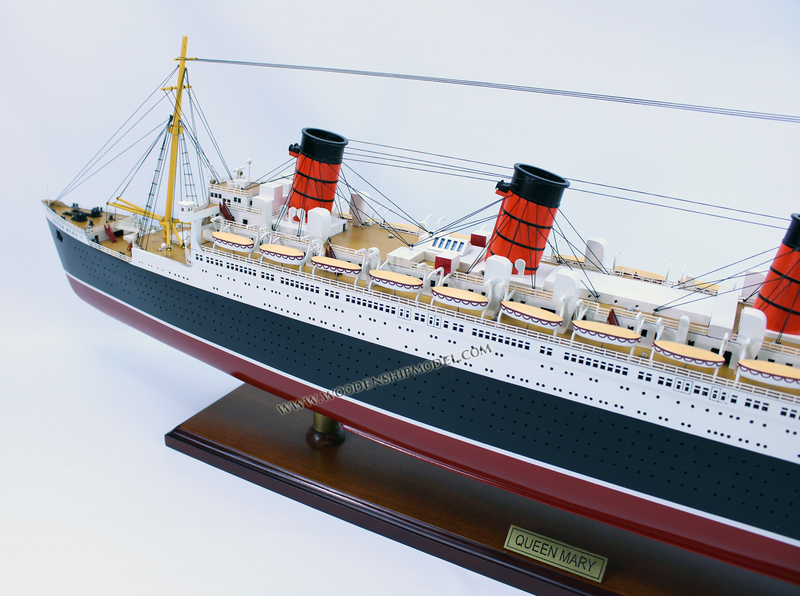 She returned to the seas in July 1947, along with her sister ship the Queen Elizabeth, and remained a popular oceangoing vessel for the next two decades. A 1966 action-adventure film written by Twilight Zone writer Rod Serling and starring Frank Sinatra, Assault on a Queen, takes place in part on the Queen Mary. Sinatra plays a bandit who gets involved in an elaborate heist to rob the liner during an ocean crossing. The film�s score is by legendary jazz musician Duke Ellington. Despite the promising setting, reviews of the performances were tepid. "Sinatra swashbuckles like a pirate is supposed to. He's quick with the bitter or sarcastic remark and he evokes some pity. Miss Lisi [Virna Lisi, Sinatra's bombshell co-star] is lovely to look at, even though she's not called on for too much acting," The Miami Herald wrote. By the late 1960s, the popularity and ease of air travel had effectively signaled the end of the great transatlantic passenger liners. Cunard (which had reverted to its pre-merger name) decided to sell the Queen Mary, which departed on its final cruise on October 31, 1967. After navigating nearly 3.8 million nautical miles, the ship docked in Long Beach, California, on December 9 of that year, where it has been ever since. The iconic ship is now a floating luxury hotel, museum, and tourist attraction, complete with three restaurants, shopping, and dining. 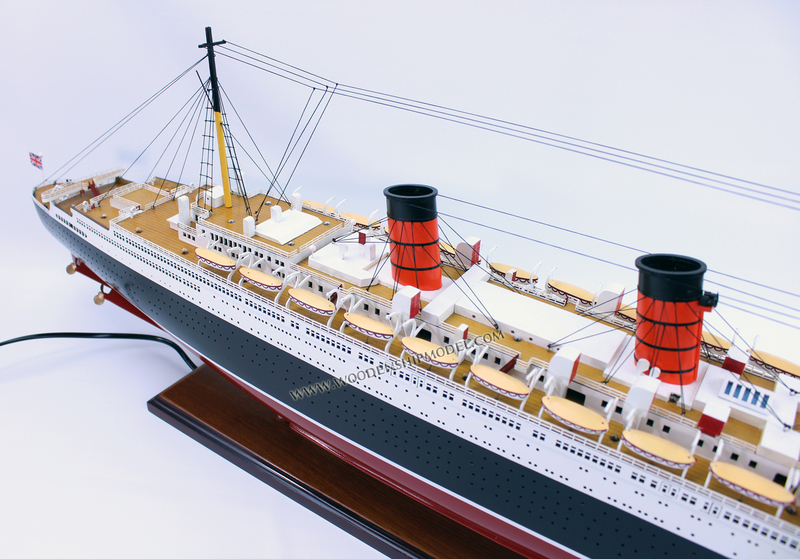 The Queen Mary Heritage Foundation is now developing a museum and educational facility to preserve and enhance the ship�s remarkable story.